Al Tala construction Bartawi Gen. cont. Co.
Gr.+3 Story Bldg. 20 Bldg. Low income Housing Project. Chicago Beech Resort Development Chalets hill side. Gr. +1 Villa at Satwa. Gr. +3 Bldg. at Dubai . 1 M/s. Retouch Decoration. M/s. Emirates Universal Const. 2 M/s. Hemilton Design. M/s. Al Tara Trading Co.
3 M/s. Al Manara Insurance Services. M/s. Elegant Furniture Mgf. 4 M/s. Bin Sabit Contracting Co. M/s. Micekraftwork LLC. 5 M/s. Victoria Hotel. M/s. Al Jabber Trading. 6 M/s. Neel Kamal. M/s. Abdulla F.AI Mazroei. 7 M/s. Conspec. M/s. Labella Furniture. 8 M/s. In Sport Center. M/s. Arab Decoration. 9 M/s. Al Yousuf Industrial Est. M/s. Al Tawoos Cont. 10 M/s. Commercial Bank of Dubai. M/s. Penguin Cont. Co Ltd.
11 M/s. Golden Crown. M/s. Techno Lift. 12 M/s. Al Futtaim Real Estate. M/s. Julfar Cont. Co.
15 M/s. Westech Middle East. M/s. Inter Art. 16 M/s. CPL International. M/s. Gulf Greetings. 17 M/s. Orasia Interior Design. M/s. Gemaco LLC. 1 M/s. Convergnt Value Eng. 2 M/s. Dutco Balfour Beatty. 3 M/s. Khansaheb Civil Eng. LLC. 4 M/s. Al Shafar Cont. Co. LLC. 5 M/s. Al Banna Eng. 6 M/s. Margham Dubai Est. 7 M/s. City Tech. 8 M/s. Ideal Interiors. 9 M/s. Design Technology. 10 M/s. Core Construction. 11 M/s. Dubai Interiors. 12 M/s. Rooster Chicken. 13 M/s. 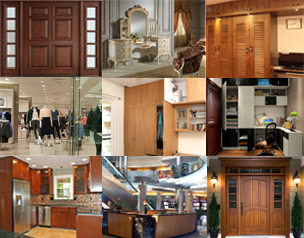 Tayma Wood Furniture. 14 M/s. Vista Real Estate. 15 M/s. Regent School. 16 M/s. Amana Steel Bldg. Cont. 17 M/s. Bright Line Trading. 18 M/s. Audio International. 21 M/s. Julfar Cont. Co. 22 M/s. Hemilton Design. 23 M/s. Al Manara Insurance Services. 24 M/s. Bin Sabit Contracting Co.
25 M/s. Victoria Hotel. 26 M/s. Neel Kamal. 27 M/s. Abdulla F.Al Mazroei. 28 M/s. Conspec. 29 M/s. In Sport Center. 30 M/s. Al Yousuf Industrial Est. 31 M/s. Commercial Bank of Dubai. 32 M/s. Golden Crown. 33 M/s. Ahmed Bin Dasmal Cont. Co. 34 M/s. Emirates Golf Club. 35 M/s. Westech Middle East. 36 M/s. Roshan Construction. 37 M/s. Orasia Interior Design 38 M/s. Emkay Interiors LLC. 41 M/s. Ambiant Interior Decoration. 42 M/s. Integrated Green Resources. 43 M/s. Pulcinella Restaurant. 44 M/s. Al Waha Curtain & Upholstery. 45 M/s. CEVA 46 M/s. P .P. I. Contracting. 47 M/s. Liwa Trading Ent. LLC. 48 M/s. 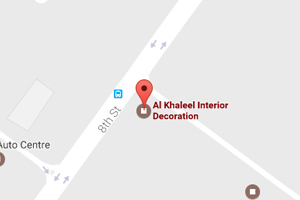 Al Naboodah Contracting. 49 M/s. Bu Haleeba Cont. 50 M/s. Pico International (Dubai) LLC. 51 M/s. Khebiyan Trading Co. 52 M/s. Intex Universal Ltd.
53 M/s. Karishma Ladies Centre. 54 M/s. Emsons International. 55 M/s. Sydney Interscape. 56 M/s. Naji Sayed Trading Co.
57 M/s. Al Barsha Contracting. 58 M/s. Middle East Factory. 59 M/s. Al Futtaim Real Estate. 60 M/s. Dubain Agencies Ltd.
61 M/s. Al Boushiya Ladies Wear. 62 M/s. Dar Al Diyafa. 63 M/s. Hessessey LLC. 64 M/s. CPL International. 65 M/s. Labela Furniture. 66 M/s. Deebaj Furniture. 67 M/s. Retouch Decoration. 68 M/s. Al Tara Trading Co.
69 M/s. Deluxe Corporation. 70 M/s. Micekraftwork LLC. 71 M/s. Al Jabber Trading. 72 M/s. Hyatt Regency Hotel. 75 M/s. Arab Decoration. 76 M/s. Al Tawoos Cont. 77 M/s. Penguin Cont. Co Ltd. 78 M/s. Techno Lift. 81 M/s. Inter Art. 82 M/s. Gulf Greetings. 83 M/s. Gemaco LLC. 84 M/s. Gulf Star Contracting Co.
85 M/s. Atticus Education. 86 M/s. Home Depot Interior. 87 M/s. International Hospital Contracting Co. 88 M/s. Tangerine Restaurant. 89 M/s. Taha Contracting. 90 M/s. The Red Crew. 91 M/s. Siqmai Queen. 92 M/s. Avatar Interiors.